An album that I started working on more than a year ago is finally out. Actually, that’s not quite a correct statement. It is not really “work” when you’re doing something you really like. I put out an announcement on Facebook early last week and I have sent out many copies to those who wanted their albums signed. I have done quite a number of albums with APO and produced some for other artists. But doing music where I am producer, songwriter and singer, and working directly with my arranger, is an exhilarating experience. It’s such a thrill. I am totally responsible for the outcome. This must be how God felt creating His own universe. The first thing I do when getting things started is I sit down and write a couple of songs; and if I feel they are good enough, I commit to start recording the entire project. If the songs excite me, then it’s a go. I call an arranger and I give him my songs. He then makes studies based on pegs we have discussed. He sends them back to me already arranged, and most of the time I approve it with just a few revisions. You must choose an arranger you can work with and whose talent you respect. Luckily, I have Ernie Baladjay who has been my arranger for quite a long time now. We have done a lot of great work together. 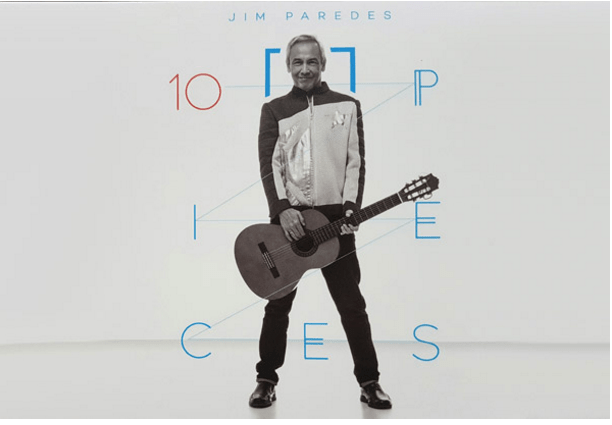 For “10 Pieces,” I wrote six new songs and revisited three that I recorded with APO that never became hits. Two of them I reworked and translated into Pilipino. It was exciting going back and taking a second look at old songs and remaking them with new elements added. Some songs were written 30 years ago. I gave them a makeover, which included a new arrangement and instrumentation, a new bridge, and a whole new set of lyrics. After working on them, I felt that I had given them not just a new lease on life, but a new feel and flavor. They may as well be new songs. The biggest thrill in doing this album was collaborating with other artists. Gloc9 gave one of my songs a new aesthetic, a vibrant energy with his eloquent rhythmic rapping. The song is about Oneness, and the rap he wrote and his performance made it really special. I invited Aiza Seguera to sing the song Pagmamahalan. I originally wrote it as a solo but as we progressed in the recording, I changed it to a duet. I must say working with Aiza is a delight. With her heavenly voice and emotional delivery, she takes any song to a much higher level. For the song Pabandying-bandying, I invited Noel Cabangon and Boboy Garrovillo to sing vocals with me. The song is about what people our age do to have fun — Lolos doing their own “gimik,” to borrow a word from this generation. It’s always fun working with them. I also included a song I recorded a year ago and released online about our gratitude to the world for its help after Yolanda. Eleven-year old Andee Achacoso and Chriselle Baladjay (my arranger’s daughter) did the solos. I’ve gotten a lot of positive responses to this. Making this album was so light and easy, even if we put in a lot of work. The creative spirit makes everything a pleasure. The thrill of seeing a song you heard in your head come to life in the studio is indescribable. It is literally picking something out of thin air and, with a few magic steps, creating a living piece of work. It is gifting the world with something it has never heard before. I am hoping people will like and sing the songs and make them the soundtrack of their everyday lives. I went into this project with no clue about what people are buying or listening to these days. One might say I am an old-fashioned artist. I write what I like and share it. I am not market-driven. I simply create when I feel I have something to say. As an old hand at songwriting, I still like to write about the most common theme in pop songs, which is love. But I like telling my stories from unique or unusual situations. At my age, I no longer play it too safe. I like diversity. I like exploring other topics and putting them into songs. For this album, I wrote my own Filipino “Happy Birthday” song. I also wrote about being depressed and wanting a new life, of wanting to pick myself up when I fall. I also have a light song called Sino Kaya? that I collaborated on with six other people about the idiosyncrasies of being Filipino. It was an inspired session during the last Elements Songwriting workshop. We had a wonderful time writing it and we finished it in less than two hours. It still makes me chuckle when I hear it. It was a truly synchronistic moment. I believe in surprising and delighting my audience, as well as myself. One thing I have learned is, whatever I come up with is the state of the art of where I am at the moment. Sometimes I am better, sometimes not, compared to my previous work. I am perfectly okay with that. Doing the work is the most essential thing. Nothing else is as important. A creator must create and bring things to life. All the other elements come second. It is as simple and as true as that.